Tens of thousands of concertgoers are expected to flock to San Francisco’s Golden Gate Park this coming weekend for the eighth annual Outside Lands Music & Arts Festival, a three-day fete that is among the largest such events in the country. Elton John, Mumford & Sons and the Black Keys are among the headliners for the festival, which takes place Friday through Sunday and is now completely sold out, according to organizers. In addition to the some 70 musical acts spread out over the long weekend, the festival will also feature comedians, a DJ dome, and food and drinks from a wide variety of local restaurants, wineries and breweries. 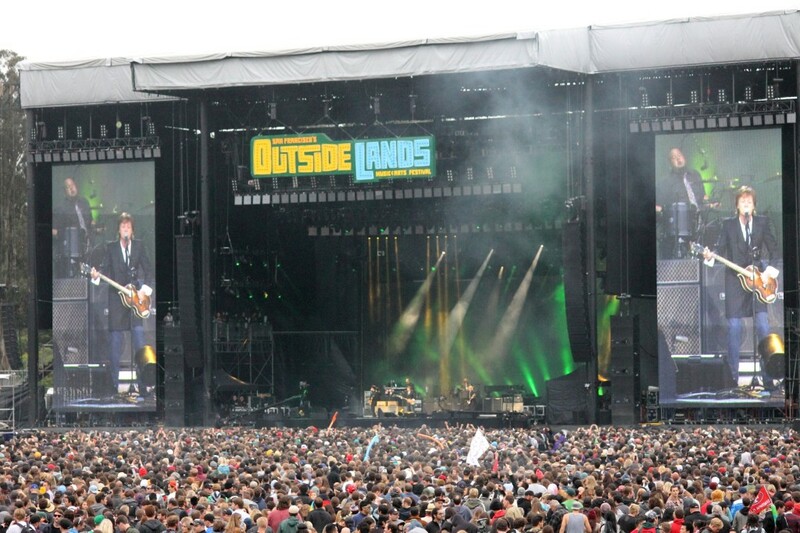 A portion of the proceeds from Outside Lands ticket sales will benefit the San Francisco Recreation & Park Department. The festival has raised more than $10 million for the city department during the previous incarnations of the event, according to figures released by promoter Another Planet Entertainment. In addition to directly donating money to benefit Golden Gate Park, the festival will also host several environmental, charitable and non-profit organizations, such as Garden For The Environment, Friends of The Urban Forest and Oxfam, along with many more to share information with attendees. Festival organizers, along with SF Surfrider, Surf For Life and local clothing company San Franpsycho, are also hosting an Ocean Beach clean-up on Saturday morning. Residents of the Sunset and Richmond neighborhoods are being advised that there will be several road closures in Golden Gate Park, and organizers have set up a community hotline for residents to call with any concerns or issues having to do with the festival. Festival-goers are strongly being encouraged to take public transit to Outside Lands. San Francisco Municipal Railway will be running extra buses, while a pre-paid shuttle service to and from the park to Bill Graham Civic Auditorium in downtown San Francisco is also available. More information can be found at www.sfoutsidelands.com or by calling the community hotline at (415) 872-1650.